Vulnerability assessment and target hardening encompass very important components of the crime and loss prevention field. This book, written by a collection of specialists in the field, contains a wealth of practical, immediately-useful information. Lawrence J. Fennelly is an independent security consultant in Cambridge, Massachusetts. A graduate of the National Crime Prevention Institute, Mr. Fennelly is a member of the International Society of Crime Prevention Practitioners and the American Society of Industrial Security, He is the author of numerous books on security and crime prevention. 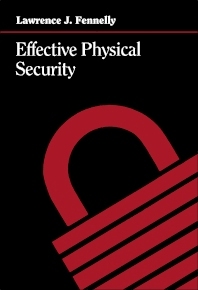 Design; Approaches to physical security; Environmental design; Designing security with the architects; Security surveys; Equipment; Physical barriers; The use of locks in physical crime prevention; Safes, vaults and accessories; Security lighting; Alarms: intrusion detection systems; Closed circuit television security; Access control and personal indentification systems; Operations; Operations of guard force; Fire and safety protection.